Our pressure cooker is a multi function cooker idea for making rice, soups, casseroles and much more! With a 6L non stick removable bowl, it features stainless steel housing and 1000W of power. Also conveniently including an easy read, soft touch LED display panel with automatic keep warm and 60 minute timer, a safety lid with cool touch handle. 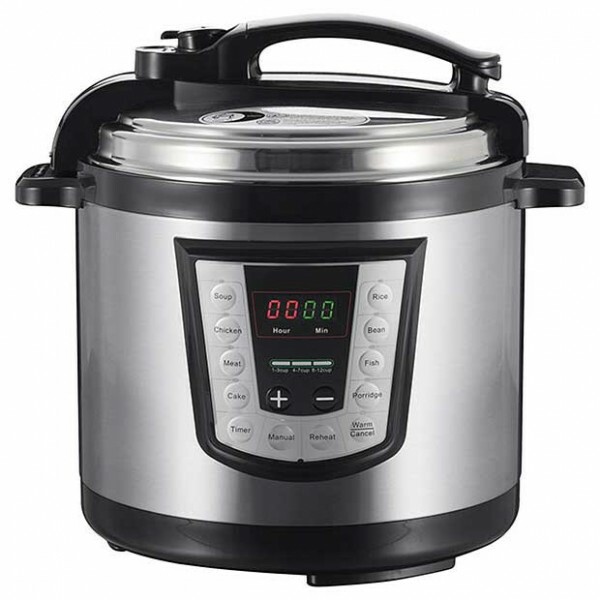 Kick start your next amazing meal with this high pressure, fully sealed cooker which not only helps you to create a great meal every time but also saves you time, energy and from cluttering up your valuable kitchen bench space! 6L non stick removable bowl. Easy read-soft touch LED display. Automatic keep warm and 60 minute timer.